A guy is selling fruit on the sidewalk in front of the Consulate. 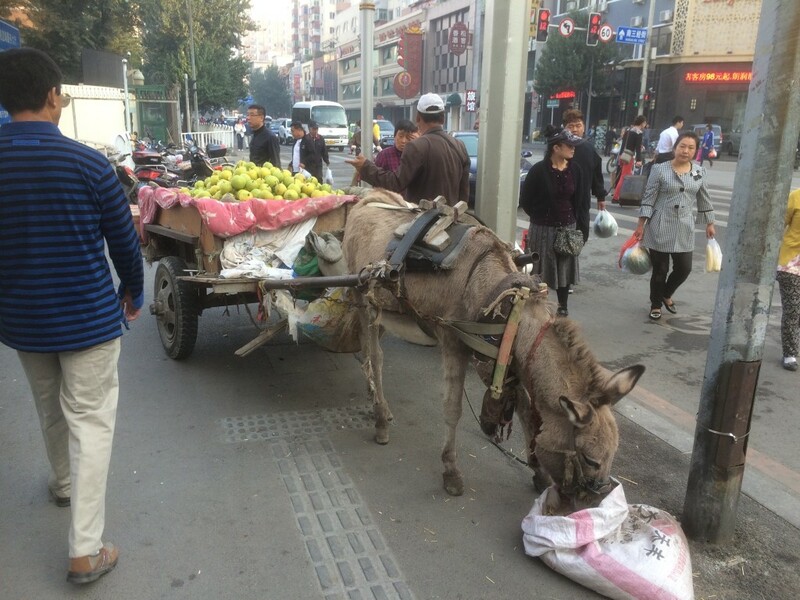 Out of a cart pulled by a donkey. I don’t like that part of me very much, but I suspect that it’s right.